Gareth Nickless is lead clinical liaison tutor for the postgraduate diploma in clinical pharmacy at Liverpool John Moores University. Obtaining an accurate medication history is an essential part of medicine reconciliation and a process that pharmacists play a vital role in. Obtaining an accurate medication history is the first step of the medicine reconciliation process. Such histories usually consist of a list of all medicines (prescribed and purchased) that a patient was taking prior to their admission to hospital. 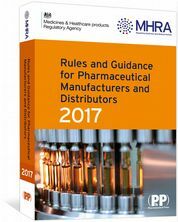 In addition to this, details of allergies or sensitivities to medicines (or excipients), recently stopped medicines (e.g. in the past month), and recent short courses of antimicrobials or corticosteroids should also be included. For some medical conditions, a list of previously tried medicines should also be included to help direct future prescribing (e.g. disease-modifying anti-rheumatic drugs [DMARDs] for rheumatoid arthritis). Traditionally, obtaining a medication history has been undertaken solely by doctors, but pharmacists and suitably trained pharmacy technicians now play a vital role in this process. Without an accurate medication history, prescribers may inadvertently make incorrect decisions about a patient’s treatment, causing harm if previously discontinued medicines are restarted, or if current medicines are omitted or prescribed at the wrong dose for the patient. In 2010, the National Patient Safety Agency issued a rapid response report about the importance of avoiding missed doses of medicines, highlighting the need to identify a list of critical medicines (including some long-term medicines such as anticonvulsants and anti-Parkinsonian treatments), although this list does not exclusively apply to medication histories. Adverse drug reactions (ADRs) have been attributed to approximately 6.5% of all hospital admissions; without an accurate medication history, healthcare professionals are unable to identify potential ADRs on admission and take appropriate action. Some ADRs may involve drug interactions (e.g. a recent course of antibiotics causing an elevated international normalised ratio [INR] in a patient taking warfarin) and could be prevented in future. Use of herbal medicines and supplements should also be noted, as these may also cause ADRs or interact with medicines commenced on admission. Although some patients may not consider these as medicines, their use is fairly common – a review of published surveys identified an average prevalence rate of 37% (although this was over a range of time periods). Obtaining an accurate medication history in a pre-operative clinic will allow appropriate suspension of certain medicines (e.g. anticoagulants and antiplatelets) prior to surgery, preventing complications following surgery or the procedure being cancelled (if this information is identified on the day of surgery). A study by Lau et al. reported that up to 67% of patients admitted to a general medical ward had at least one error associated with their medication history; the most common being an omission, medicines added that the patient did not take, and incorrect frequency and dosage. A systematic review by Tam et al. demonstrated that 41% of medication history errors were clinically important, with 22% having the potential to cause harm, and the EQUIP study demonstrated that 30% of prescribing errors were due to medicines missing on admission. Some of these errors may be attributed to the limitations of the sources used to obtain the history (see ‘How to obtain a reliable medication history’ for discussion of the different sources). Although doctors usually obtain medication histories during their initial patient interview, there is evidence that those obtained by pharmacists are more accurate. This may be explained by pharmacists having had more extensive training on medicines-related issues (e.g. consideration of the specific times that a patient with Parkinson’s disease takes their treatments or the need for brand-specific prescribing for ciclosporin and tacrolimus). Medicines are also the pharmacist’s prime focus when reviewing a patient, whereas a doctor will also have to take a full clinical history, examine the patient, order investigations, formulate an initial diagnosis and prescribe a patient’s medicines. When doctors review a patient on admission, the patient may not be able to provide an accurate list of medicines, especially if they are confused or particularly distressed by the cause of their admission. Patients should always be consulted unless it is not physically possible (e.g. they are unconscious or confused). If appropriate, the patient’s parent, partner or carer may be consulted instead of, or in addition to, the patient. Direct discussion with the patient may also highlight issues with medicines adherence and identify other medicines that the patient uses (e.g. over the counter medicines, herbal medicines or medicines from specialist clinics). Patients should also be consulted to confirm any previous allergies or intolerances to medicines. It is vital that pharmacists clearly introduce themselves (in line with the ‘Hello my name is’ campaign) and explain the purpose of their consultation with the patient. Careful questioning techniques must be used as some patients may not consider non-oral medications (e.g. inhalers, eye drops, creams or patches) as medicines or they may fail to mention medicines that they do not consider important, such as oral contraceptives or hormone replacement therapy, or other products they may be regularly taking, such as herbal medicines or dietary supplements. the patient may not be taking the medicine at all. The date of dispensing may indicate an adherence issue. GP surgeries can provide medicine lists and information on medicines the GP has prescribed for the patient. 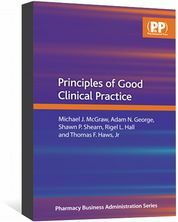 However, these lists only detail what the GP intends the patient to take and may not reflect what the patient is actually taking. When ing GP receptionists, practitioners should remember that these individuals often receive little or no training regarding medicines and it may be more appropriate to obtain a written copy of the medication summary, usually in the form of a fax. The medication list may not be up to date if a patient has recently been in hospital, or received outpatient treatment, since there may be a delay in updating the GP’s records. Another consideration when obtaining information from GPs is the surgery opening hours. Although an increasing number of hospitals have access to patients’ summary care records (SCRs), unfortunately they aren’t currently routinely available. The recent campaign for pharmacists to have access to SCRs by the SalvaDore could potentially rectify this. Previous discharge prescriptions (either filed in the case notes or accessed electronically) may help if a patient has been discharged from hospital recently (i.e. in the past month). However, it must always be confirmed whether there have been any changes to their medications since the previous discharge from hospital. Medicine Administration Record (MAR) sheets will often accompany a patient admitted from a nursing or residential home. These should be read carefully to identify any medicines recently started, discontinued, refused or omitted. Extra care should be taken when reviewing MAR sheets with handwritten additions or amendments and those that do not indicate how many pages make up the MAR. Patient medication lists (either repeat prescriptions or self-produced lists) may be brought directly with the patients on admission to hospital. The patient should be asked if this information is up-to-date and whether all parts of the repeat prescription list have been brought in. Community pharmacies are regularly used, with studies reporting that in some regions more than 80% of patients use the same pharmacy for their regular medicines. However, since a patient may visit any community pharmacy, they may not hold an accurate list of all medicines and should not be used as a single source of information. 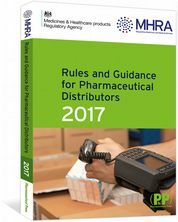 The community pharmacy may provide information on compliance aids or medicines that are not supplied on a repeat prescription from the GP, such as methadone or medicines obtained from a memory clinic. Community pharmacies may also be able to give information when other sources are unavailable (e.g. methadone doses when the community drug service is closed). Specialist clinics may also hold additional medicines information, so GPs may not have information about medicines that they do not prescribe. The patient’s medical history may suggest that they receive medicines via another prescriber (e.g. donepezil from a memory clinic, antiretrovirals from an HIV clinic, or methadone from a community drug service). Community nurses may also be ed to confirm medication details (e.g. community psychiatric nurses for the dose and frequency of antipsychotic depot injections or community district nurses to confirm insulin doses). restrictions on supplies issued in primary care (e.g. patients issued a maximum of seven days because of risk of overdose). Once an accurate medication history has been obtained, this information should be documented in the patient’s medical notes. The medical team should be informed if any changes to the inpatient prescription are required, ensuring a patient’s medicines prescribed on admission correspond to what the patient was taking before admission, unless there are any deliberate changes. Any changes, deletions or additions to the patient’s regular medicine should be clearly documented to facilitate the provision of accurate information about changes made to a patient’s medicines during their admission for GPs. Gareth Nickless, BPharm, PgDip Clin Pharm, IPresc, MRPharmS, MFRPSII is lead clinical liaison tutor/practitioner at Wirral University Teaching Hospitals NHS Foundation Trust and Liverpool John Moores University. Rhys Davies, MPharm, PgDip Clin Pharm, IPresc is a highly specialist pharmacist acute care, Wirral University Teaching Hospitals NHS Foundation Trust. National Patient Safety Agency. Reducing harm from omitted and delayed medicines in hospital. Rapid Response Report: 2010. Available at: (accessed January 2016). Pirmohammed M, James S, Meakin S et al. Adverse drug reaction reporting as a cause of admission to hospital: prospective analysis of 18,820 patients. The BMJ 2004;329:15–19. Posadzki P, Watson LK, Alotaibi A et al. Prevalence of herbal medicine use by UK patients / consumers: a systematic review of surveys. Focus on Alternative and Complementary Therapies 2013;18(1):19–26. Lau HS, Florax C, Porsius AJ et al. The completeness of medication histories in hospital medical records of patients admitted to general internal medicine wards. Br J Clin Pharmacol 2000;49(6):597–603. Tam VC, Knowles SR, Cornish PL et al. Frequency, type and clinical importance of medication history errors at admission to hospital: a systematic review. CMAJ 2005;173(5):510–515. Dornan T, Ashcroft D, Heathfield H et al. An in depth investigation into causes of prescribing errors by foundation trainees in relation to their medical education. EQUIP study final report December 2009. Available at: (accessed January 2016). Hatch J, Becker T & Fish JT. Difference between pharmacist-obtained and physician-obtained medication histories in the intensive care unit. 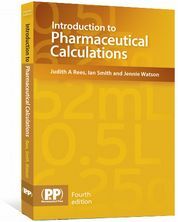 Hospital Pharmacy 2011;46(4):262–268. Hello my name is campaign. Available at: (accessed January 2016). SalvaDore. Professional position statement: access to the patient health record (England), 2015. Available at: (accessed January 2016). Bellingham C. How to improve medicines management at the primary/secondary care interface. The Salvadore 2004;272:210–211. Available at: http://salvadore.info/opinion/comment/how-to-improve-medicines-management-at-the-primary/secondary-care-interface/11091161.article (accessed January 2016). At East Lancashire Hospitals NHS Trust we have evolved a Medicines Reconciliation checklist. Initially it was inserted into the notes but we are imminently awaiting a new printed version of the patient notes with it embedded - I'll see if I can get it uploaded to one of the RPS networks. A protoype version can be found at www.rpharms.com/referraltoolkit - see Appendix 5 (and also 6 & 7 but you'll need to read the related section of the main document to get the context. I read the print version earlier this week, and tried to access the sample Medicines Reconciliation Form referenced there as a bit.ly/ etc. The link didn't work. I tried starting the address with I, l and 1 (Capital i, small L and number one) but it still failed. I tried the link in PJOnline, but that didn't work either. Help! Thank you for your comment Andrew. Please try this link to download the sample Medicines Reconciliation Form: http://salvadore.info/download?ac=1070231 or alternatively, the form can be accessed via the link on the right hand panel on the online version of the article. 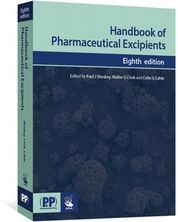 The Handbook of Pharmaceutical Excipients contains essential data on the physical properties of excipients, their safe use and potential toxicity.